Editor’s note: Several readers have inquired about posted production delays at Hero Forge. I have emailed Joshua (featured in the above interview) regarding. For more information, you can check out their update and their Facebook page. They are responding to questions on the Facebook page rather promptly. One of my coworkers always used to say ‘3D printers are going to change the world.’ Not a lot of people listened. After all, most of us were living paycheck to paycheck – but a year later, my coworker’s interests entered the realm of tabletop RPGs, one of my favorite hobbies. 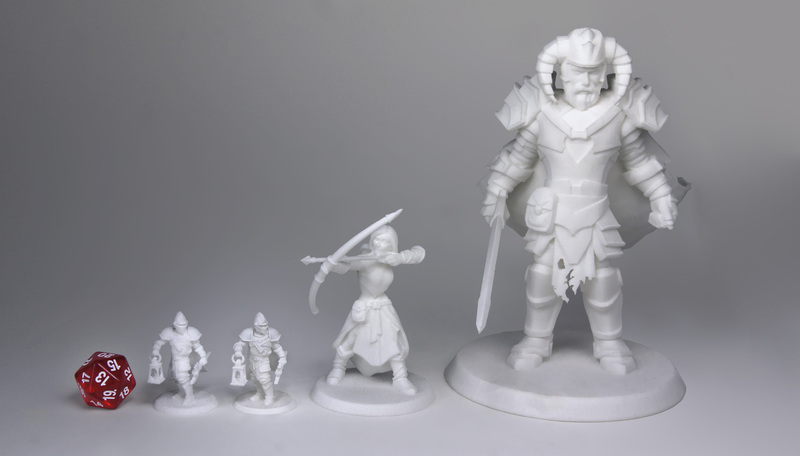 Hero Forge applied the 3D printing technology to the creation of customized miniatures. As soon as orders became available, all of my friends started sharing their favorite character concepts. At Hero Forge, you can log in, build a character, share it, and save it. The share feature ensured its virality. Hero Forge‘s origins are in crowdfunding – with start-up and production costs originating from a very successful Kickstarter campaign. Fascinated by this awesome product, I contacted Hero Forge LLC and received enthusiastic responses from Hero Forge Co-Founder Joshua Bennett, 3D Modeler Margaret Dost, and Character Technical Director Beverly Sage. 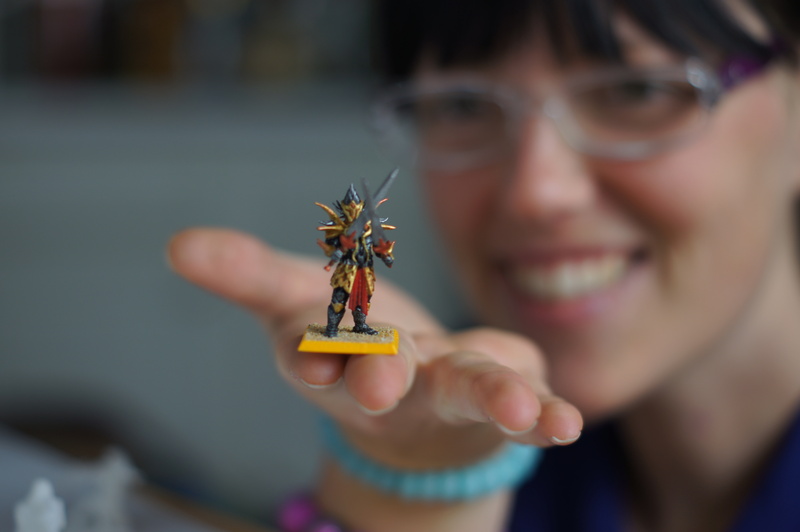 Tara M. Clapper: For every ten standard male miniatures available on the market, it seems like there’s only one or two female options available. Was this an early factor in your decision to launch this business? Joshua Bennett: Absolutely, yes. Originally, this idea came to us when we had an experience that most tabletop fans have had at one time or another: we were looking for miniatures of characters we’d just made and just couldn’t find ones we liked, matched our vision, or matched our character sheets. Of course, even when you can find a mini that looks good ‘on paper’ (correct race, equipment and armor), it still doesn’t always feel like your character. 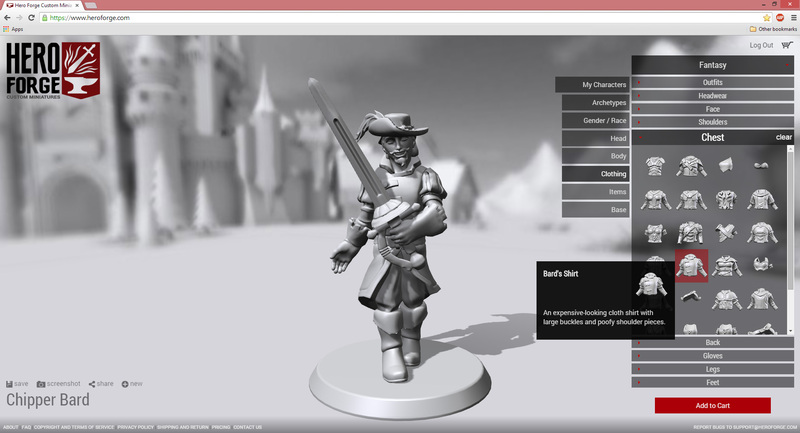 The Hero Forge User Interface – it’s easy to use! We wanted to give people a way to feel more connected to their mini. We wanted it to feel like your character. The character that prompted that for me was a female gnome bard named Harmony Harpbreaker. Finding good female minis (or gnome minis, or really any mini with non-standard equipment) can be pretty challenging. Providing options for gamers who hadn’t many before was definitely one of our biggest motivations. It is definitely true that the options for female minis have been too limited for too long. Beverly Sage: Most people I know don’t fit into the ‘ideal’ and they aren’t comfortable having to always be represented as such. The characters you create in RPG are amazing because of how different they are and we wanted to make a tool that would let you create a figure that isn’t the norm. For example, Pipsqueak the trans halfling Barbarian conqueror is not awesome because of his Batman-esque bod, but for his bloodthirsty prowess and ability to rock six inch heels into battle. He would also be very difficult to find in a ready-made mini. If you want a generic character there are a bunch of options out there already. When your character is something different, something special, that’s when we step in. Tara: Some of you have backgrounds in RPG books and video game designs. A lot of recently reported experiences and press indicates that pockets of tech and geek industries aren’t always welcoming of women. Have you experienced that, and if so, how does your experience at Hero Forge compare? Beverly: I think in this regard it was really cool that we were all friends that were hanging out together before we decided to form a company. If they treated me like anything less than an equal we wouldn’t have been friends. Margaret: The majority of my experience in the industry has been pretty positive. I’ve been working on the vfx and commercial side of the industry for longer now, and companies tend to be very professional and respectful of their artists. Hero Forge has been different in that it is a company made up of people who were already friends, and it’s been very casual and relaxed. On Hero Forge, I made Ceara – my LARP character! Tara: The body type range available on your products is considerable – and unusual. We’re used to seeing only the musclebound male or the impossibly-Barbie-figure female. How and why did you decide to include realistic body types as part of the design process? Margaret: Where ever possible our system is designed to put the choices in the user’s hands. Luckily we were able to set things up in a way that allows any body type just as easily as the others. This also allowed us to have any piece of armor on any body type and gender, rather than the usual forced masculine and feminine armor. Joshua: This goes back to what I mentioned earlier about providing options that people simply can’t find elsewhere. One thing I see all the time is that people tend to make characters with big quirks, or traits that are non-standard in the classic hyper-idealized fantasy aesthetic. It help gives characters personality. Sometimes these are personality quirks, and sometimes they are non-standard physical features. I know I have played in several campaigns where characters were, for example, gender ambiguous, not particularly fit, notably skinny, and a hundred other things. We wanted to offer those options. As far as body type goes, we wanted to push the extremes in both directions as far as we could, and also offer everything in between, including more realistic options–something the mini market has been bereft of. Tara: 3D printing technology is advancing nearly as fast as the demand for it. What’s your plan for keeping up with the tech? Joshua: Luckily, we’ve partnered with one of the big names in commercial and consumer-level 3D printing, Shapeways, Inc. They have a fantastic track record of staying up to date with print tech, adding new materials, and meeting market demands. This is great for a company like us really gives us the freedom to focus on what we are excited about: designing a easy to use interface that lets people make cool minis! Tara: You significantly exceeded your original Kickstarter goal! What is your advice for running a successful crowdfunding campaign in geek culture? Joshua: I think, honestly, it is mostly just having an idea or product or project that people are eager to get behind. The amount of e-mails we got that basically said ‘I have been waiting for this for a long time,’ or ‘I had this idea but none of the skills to make it happen,’ or even ‘I can’t believe this hasn’t been done before!’ was really inspiring and reassuring. The other half of the equation is really just trying every way you can to get the word out so it reaches your audience: sing it from the rooftops! Tara: What options or archetypes do you hope to include in the future? Joshua: Really, the sky is the limit now. We’re hard at work fleshing out the existing genres and getting in more content that didn’t quite make it for launch, but we’ve also seen a lot of interest in other genres, like superheroes and steampunk, along with other scales for tabletop games. We’re going to keep listening to the gaming community that has been so eager to supported us from the beginning. We figure they’ll steer us right. Beverly: Oh man. We have a huge backlog of things that are almost ready to be added to the live site, or waiting in the queue. Every day we have another thirty or forty ideas of what could be added in. You should keep checking in, we are going to try to add new options every week or so. Tara: Where can someone find a reputable artist to paint a figure once it’s received in the mail? Joshua: Excellent question! We don’t have any painting partners at the moment. If you’re not great with a brush, there are almost always local artists eager for your business. Tara: What’s next for your team? Could you see yourselves using 3D printing technology to create cosplay and LARP (live action role playing) armor, for example (that may be a hint/request)? Joshua: That’s all hypothetically possible, certainly! At the moment, we’re focusing on doing one thing really, really well, but we’re looking forward to building on what we’ve made. Though keep in mind that 3D printing tends to be priced based on size dimensions and material usage, so full-scale, human-sized equipment is pretty cost-prohibitive for the time being. Tara: Anything else you’d like to add? 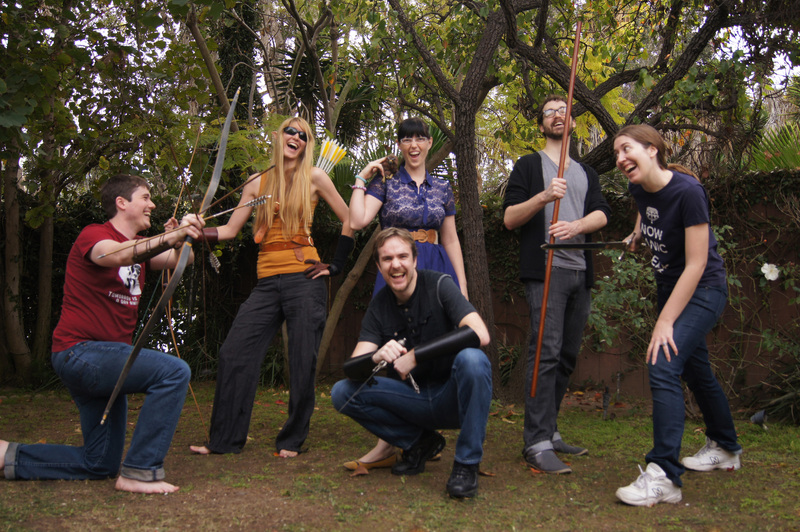 Team: Yet again, we want to thank the community of Kickstarter backers and gamers who have helped us come this far. We wouldn’t have made it here without you!